Prepare to be Carried Away on a Grand Adventure! 1: How does it feel being a 2-time published author? It feels absolutely great! 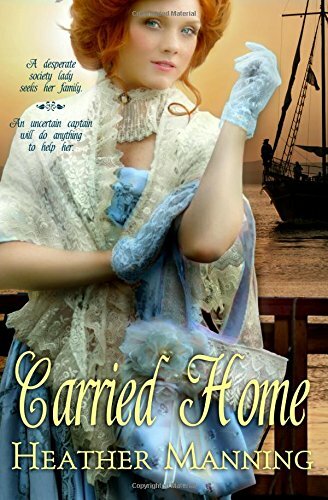 I feel even more like a “real” author now that I have my second novel, Carried Home, out there. But I also am a lot more busy than I was before! 2: This story was a wonderful continuation of your series; was it different taking Ivy and Gage’s point of view rather than Eden and Caspian? Thank you! Yes, it was very different. At first, it was difficult to get a hang of their voices rather than Eden and Caspian’s voices. But by the end, I loved Ivy and Gage just as much as the main characters in my first book. 3: You left QUITE a cliff-hanger at the end of this book. Are you planning a third story? And how long are you going to make us wait for it? lol. Muahahahha, I guess I did leave you with a cliffhanger. I am certainly planning a third story, this one about Aimee and Matthew. I’m writing it right now, and I am certainly excited. I will be working on it all summer so hopefully it will be out for ya’ll soon! 4: Congratulations on graduation high school! Was it difficult writing these novels while finishing up your schooling? Thank you! It certainly was difficult, but I had a blast doing it. There were many nights when I was frantically getting edits done while studying for a test and then finishing up my school’s yearbook. But I love being a writer, so I had a lot of fun, too. 5: And any plans for your future now that you’re officially an adult? Great! Thanks again for taking the time to answer these questions. Now, wanna hear a little bit about her newest, and let me tell you, amazing novel? This second book in the series promises to be no less exciting than the first! With the backdrop of the beautiful sea, and exotic ports, this is an adventure book not to be missed. The characters instantly weave their way into your heart, both with their tenderness and their adorableness. I have to say, Ivy is one of those characters that you just love, even when she gets a tad bit annoying. She has such a deep love for her brother, and being his main caretaker, it is understandable her anxiousness to return. Though, that deep desire does get her into a bit of trouble, like sailing, along, on a pirate ship. It’s interesting watching her retain her aristocratic principles and upbringing, while making herself quite at home aboard the ship. Then there’s Gage, who I just wanted to give a big hug. He has a big heart, but also a lot of insecurities. After all, he is a brand new captain with a brand new crew. But the two together, they are quite adorable. There’s some wonderful bantering between these two, along with the reluctant feelings that slowly bloom. They balance each other so well, and seem to bring out the best in each other. Throw in hurricanes and real pirates, and you have one awesome adventure. This book had a wonderful romance, an incredible edge-of-your-seat adventure, along with a dear message of learning to trust God, even when things seem bad. This is a novel I highly recommend, along with its predecessor Swept to Sea. Hi all! So, no post this week. I know, usually I just post one late. I’ve been a little busy this week to get a book review up. Why am I so busy? Because I’m planning on attending an awesome book convention next week! The RT Convention is next week, and seriously it lasts almost the full week. Which also means that I will not be able to post next week either. So, two weeks of no new posts. Sorry! But, as a treat, when I get back I’ll have some recent books that are currently hot, and hopefully an author interview or two. So stay tune and I’ll see you in a couple of weeks! Hi everyone! Okay, so I am VERY sorry I haven’t posted in two weeks… Things got busy and the next thing I know it was almost Friday, so I decided to wrap the two books together and then it got busy again. So sorry for that! But, I am keeping my word, and today we’re doing a double book fun! 😀 As I said, I am continuing Sarah E Ladd’s amazing Whispers on the Moors trilogy, writing about her second and third books today. Let me tell you, I LOVE this series, and this author! It is so refreshing to read regency that has a lot of depth. So, without further ado, here is the rest of my reviews of these amazing books! And feel free to read my review of the first book as well. The Headmistress of Rosemere was definitely an interesting continuation of the Whispers on the Moors series. The very first chapter is filled with danger and suspense, giving the book a tone that’s carried throughout the storyline. I love how it’s both similar and different than the first book in this series. It has more of an overlaying suspense and anxiety rather than an out-right dangerous situation to be fixed. And the characters are very well written. I love the focus on William. He’s a bit of an annoyance in the first book, but I love watching him change in this one, watching him grow and change, and also learning what made him the rogue he was in the first place. Then there’s Patience, the headmistress who loves the school, loves the girls under her care, and is a very capable woman. She singlehandedly runs the school even while dealing with a deeply grieving mother. The sparks between these two are quiet, but I love how there’s not just an admiration for the physical beauty they have for each other, but also for their compassion, and a mutual respect for each others’ intelligence. I really do love how William respects Patience for her mind, rather than believing her to be frail and needing to be taken care of, as most other men do. Each faces their own obstacles, and each is threatened with losing everything, and only when they turn to God and let go do they realize just what gifts are waiting for them. 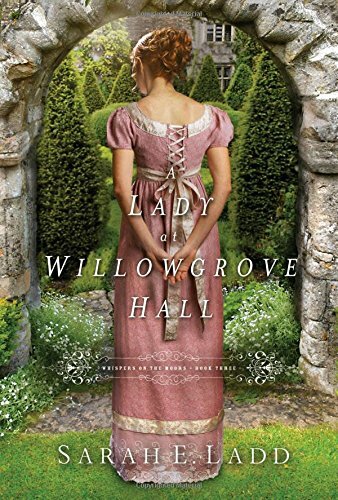 The last book of the series, A Lady at Willowgrove Hall is probably my favorite. While it doesn’t have the same adventure and suspense as the previous books, this one focuses on the inward struggles of the characters. You start with meeting Cecily and Nathaniel and learning each of their disgraces, the secrets that they fight from that point forward to keep hidden. I love that Sarah Ladd introduced us to the secrets from the beginning, allowing us to feel the weight of knowing what we do, even while we’re screaming at the other characters to understand. It is interesting watching both Cecily and Nathaniel deal with the weight of their secrets, some of it being not necessarily their faults. Regret weighs both of them down, and even while they’re drawn to each other, developing a sweet romance, they push away, fearing the consequences and believing that the other wouldn’t understand. But what truly made me fall in love with this story was the feeling of redemption when forgiveness is asked, and the complete understanding, acceptance, and forgiveness that can come. It’s nice that a character that made some bad childish decisions can find peace and move on. All three of these books carry a unique tone, even while the stories intermingle. They are all very well written and very enjoyable, and I recommend the whole series to anyone who likes regency. Both of these stories can be purchased as paperbacks, but also on Kindle and NOOK. 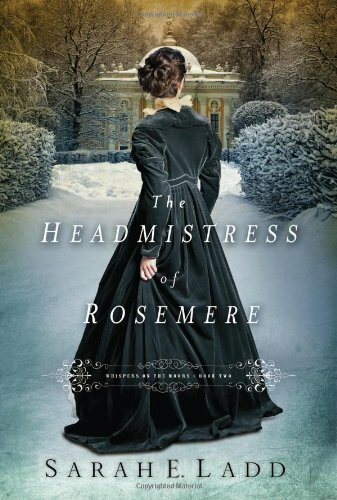 The Headmistress of Rosemere: Kindle, NOOK. A Lady at Willowgrove Hall: Kindle, NOOK. Also, feel free to check out the author’s website, and follow her on Facebook and Twitter. I hope you enjoy these books as much as I did!